The flower pot - a found treasure. 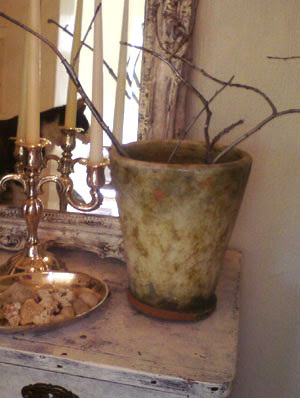 I got this beautiful pot for 2 euros at a local fleamarket last week. 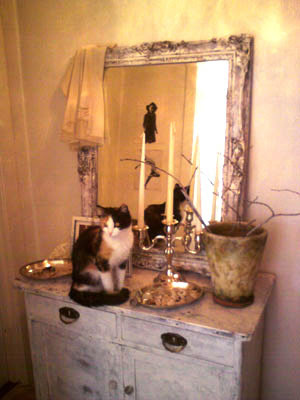 Got an old gold-coloured brothel-looking mirror from a friend, a white coat of paint and it looked so much better. A rather dull looking cupboard was bought for ten euros at a local secondhand store. A sloppy paintjob and replaced the handles - and voila!